A cream powder for dry application. A new formulation and innovative production technology provide gentle application, and produce a pleasantly soft feeling on the skin.The micronized pigments offer the possibility of applying this preparation not only with fashionable transparency, but also with vivid color emphasis. 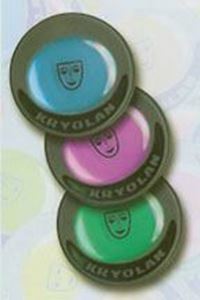 Excellent durability on the eyelids makes this KRYOLAN product exceptionally well-suited for professional application.